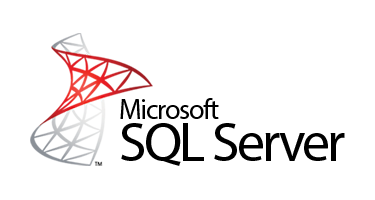 ASPHostPortal Windows servers support PHP: 5.5 and MySQL 5 Databases. 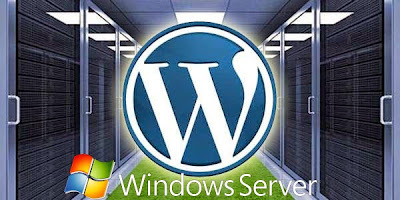 To install WordPress on Windows server, you can follow below steps. With the introduction of Windows Server 2012 R2, Windows servers have been able to support the installation of WordPress 3.9.1 through the use of WIMP- Windows, IIS, MySQL, and PHP making WordPress fully compatible and the additional benefit of IIS makes installation a breeze. I assume you have Windows hosting account with ASPHostPortal.com and you have access to the actual server, WordPress requires PHP, MySQL and the WordPress bits themselves. You can certainly hunt around for those yourself, or you can use the Web Platform Installer from Microsoft and install WordPress 3.9.1 on your box in about 15 minutes including download time. After that, If you have created MySQL database before, simply choose it from the drop down list. If not, select Create new database, then input Database Name, Database User Namer and Database Password. Other fields are mostly optional. Click the Install button at the bottom of the installation page, your WordPress 3.9.1 will be installed on ASPHostPortal Windows server. After installing you should be up and running with a starting site. Login to complete the process. Now you can go to create the WP administrator account. Click Launch WordPress 3.9.1 from the installation success notice page to access the classic WordPress admin role setup page, or you can directly open the WP web installation & configuration page by visiting an URL like this: http://yourdomain.com/wp-admin/install.php. Here you need to input information including: Site Title, Username, Password and Email. Setup wordpress 3.9.1 admin finalized installation windows server at ASPHostPortal. After that, click Install WordPress to finalize installing WordPress 3.9.1 on Windows server with ASPHostPortal Windows hosting. ASPHostPortal revolutionized hosting with Plesk Control Panel, a Web-based interface that provides customers with 24x7 access to their server and site configuration tools. It’s really hard to find a web host who could offers better price value than it. ASPHostPortal guarantees no less than 99.9% uptime on your Windows web hosting account, and if you find that your websites are down at any point they tend to remedy things by offering you a credit for some of your monthly service fees. ASPHostPortal.com also provide 1-Click WordPress installation. Maybe 1-Click WordPress installationis not that valuable for an experienced WordPress webmaster, but it’s definitely help WordPress newbies a lot of to setup their first blog. At ASPHostPortal, it is said that the company offers 24/7 customer supports via ticketing email. However, ASPHostPortal don’t help on WordPress issue. If your WordPress doesn’t work well, you have to figure out the root cause and then ask for help from ASPHostPortal if it’s related to server. This is really not WordPress friendly.